Zahaira Curiel e-mailed us to let us know of her upcoming projects. She will first act in the Murray H. Kiok play Canaan as part of the Strawberry One-Act Festival run by The Riant Theatre. 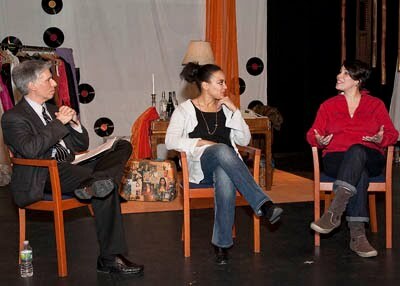 Directed by Bob Hunckley, the show will take place at The Hudson Guild Theater in Manhattan's Chelsea neighborhood. She will follow this up with a role in Deeon Brown's The Slums of Neverland at Theater for the New City in Manhattan's East Village neighborhood. Luis Carlos de La Lombana, Nanda Abella, Irene Aguilar, Israel Ruiz, Adela María Bolet and Winston Estévez will appear in a stage adaptation of Federico Fellini, Tullio Pinelli and Ennio Flaiano's La Strada. A co-production between Teatro IATI and Spain's Compañía La Strada, the play was adapted by Gerard Vásquez, directed by René Buch and Jorge B. Merced and is scheduled for a February and March run in Teatro IATI's space in the East Village area of Manhattan. José Yenque was interviewed about his mother, actor Teresa Yenque, his work as an actor and as a humanitarian on the syndicated television series "LatiNation." The interview can be seen below. We at HOLA look forward to seeing you on the 10th! Adela Ma ría Bolet, left, was cast as one of the lead roles in Edwin Pagán's next horror film The Talisman after she read about the casting notice in HOLA's daily e-mail announcements. Manny Alfaro, Nathalie Tolentino, Jorge Pupo, Denia Brache, Miguel Belmonte and Lina Gallegos shot a PSA for the Ad Council. Ángel Gil Orrios is slated to produce, design and direct the world premiere of You Tango? With music arranged and directed by HOLA Award and Latin Grammy winner Raúl Jaurena, it is a celebration of the greatest hits of tango. 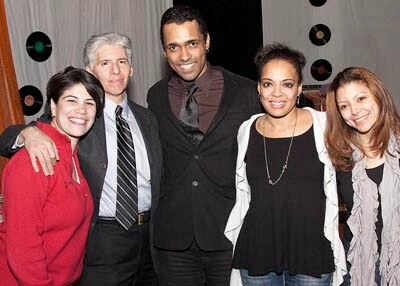 The production will take place at Thalía Spanish Theatre in the Sunnyside area of Queens for an eight-week run beginning late January with singers Marga Mitchell and "El Pulpo"; dancers Iván Terrazas, Sara Grdan, Mariana Fresno and Diego Ocampo; and musicians Jaurena, Maurizio Najt, Beledo, Pablo Aslán and Sergio Reyes. Henry Gaínza just opened as William Barfée in Rebecca Feldman, William Finn, Rachel Sheinkin and Jay Reiss's hit musical The 25th Annual Putnam County Spelling Bee at the Actors' Playhouse at the Miracle Theatre in Coral Gables, Florida. The production is set to continue until mid-February. Repertorio Español is set to premiere a new production of Así que pasen cinco años (When Five Years Pass) by Federico García Lorca. 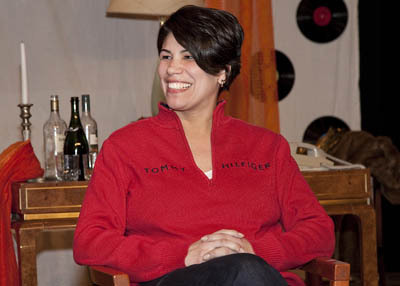 Directed by René Buch, the play is set to premiere in January 2011 at Repertorio's eponymous theater in the Rose Hill section of Manhattan with Ricardo Barber, Patricia Becker, Zulema Clares, Luis Carlos de La Lombana, Raúl Durán, Ana Grosse, Gerardo Gudiño, Gabriel Gutiérrez, Eric Robledo and Marcelo Rodríguez in the cast. Repertorio Español is also set to premiere the Spanish language premiere of En el tiempo de las mariposas (In The Time of the Butterflies). Based on Julia Álvarez's novel, the stage adaptation is by Caridad Svich and directed by José Zayas. Scheduled to begin performances in February 2011, the play will be presented at Repertorio's eponymous theater with Rosie Berrido, Zulema Clares, Dalia Davi, María Helan, Flor de Liz Pérez, Teresa Pérez-Frangie and Fermín Suárez in the cast. Alberto Bonilla is slated to direct Dolores and North of Providence, two one-act plays by Edward Allan Baker. 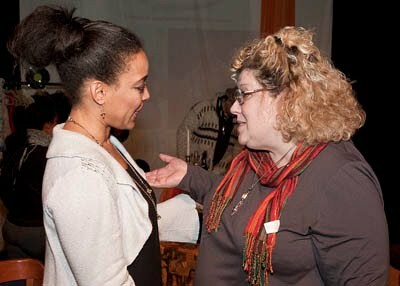 Scheduled for a January-February run by Teatro LATEA at its namesake theater in the Clemente Soto Vélez Cultural and Educational Center (home to HOLA) in the Loísaida neighborhood of Manhattan, the show will have Rachel Cornish, Sat Charn Fox, John Golaszewski and Rebecca Nyahay in the cast. Also at Teatro LATEA, Marco Antonio Rodríguez is set to direct his play La luz del cigarillo. Scheduled for an April and May run, the show will have Ismael Cruz Córdova, Susanna Guzmán, Arisleyda Lombert and Teresa Yenque in the cast. Teatro IATI, in association with the Hudson Exploited Theater Company (HExTC) will present Cuban Operator Please.... Written by Adrián Rodríguez and directed by Arian Blanco, the play is scheduled for a February run at Teatro IATI's namesake theater in Manhattan's East Village with José Antonio, Omar Hernández and Ileana Canal in the cast. 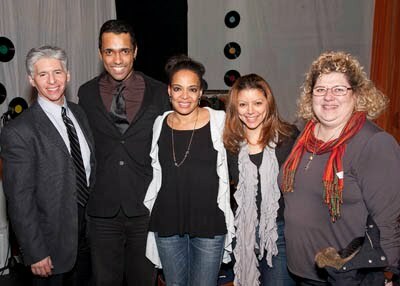 The Hispanic Organization of Latin Actors (HOLA) hosted an evening with Lauren Vélez on Tuesday, January 11, 2011. Teatro LATEA, in association with Dura Vida Productions, presented They Call Me La Lupe, a solo show starring Ms. Vélez as the famed Afro-Cuban singer La Lupe. With percussion accompaniment by Ángel R. Rodríguez, Sr., the show was written by Luis Caballero and James Manos, Jr., and directed by Verónica Caicedo. After the performance, HOLA presented a special HOLAtalks post-performance discussion with Mmes Vélez and Caicedo, as moderated by writer-journalist Robert Domínguez. Photos from the event are below. Photos are by Anthony Ruiz/ARuiz Photography. Photo credits (top to bottom, from left to right). Photo 3: Robert Domínguez with Vélez. Photo 4: Domínguez, Vélez and Caicedo. Photo 5: Domínguez and Vélez. Photo 6: Domínguez, Vélez and Caicedo. 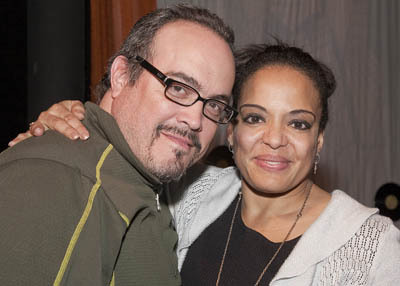 Photo 7: Vélez with her costar from "Dexter," David Zayas. Photo 8: Domínguez, A.B. Lugo, Vélez, Blanca Vásquez and Elsie C. Stark. Photo 9: Caicedo, Domínguez, Lugo, Vélez and Vásquez. Photo 10: Vélez and Stark. All photos by Anthony Ruiz/ARuiz Photography. David Maldonado and Juan Toro are presenting the play La Barbería. Written by Maldonado and Arí Maniel Cruz, the production will be directed by Waddys Jáquez and is scheduled for an February opening off-Broadway at the New World Stages, located in the theater district of midtown Manhattan. The cast features Manny Pérez, Mateo Gómez, Ruperto Vanderpool, Sunilda Caraballo, Iván Camilo, Graciany Miranda, Juan Carlos Díaz and Emme Bonilla. Rashaad Ernesto Green's film Gun Hill Road is headed to the Sundance Film Festival. Written and directed by Green, the movie stars Judy Reyes, Esaí Morales, Miriam Colón, Vincent Laresca, Frankie G, Robin De Jesús, Félix Solís, Caridad De La Luz, Paul Mauriello and Adel Morales. 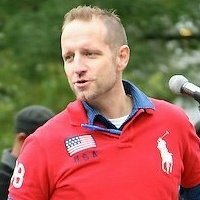 Jean-Marc Berne did voiceovers for the IRS (Spanish radio commercial), McKinsey (in English), Bud Light (English and Spanish radio commercials) and the National Alliance of Public Charter Schools (in Spanish). He also appeared in a Metro Cable Spanish on-camera commercial. 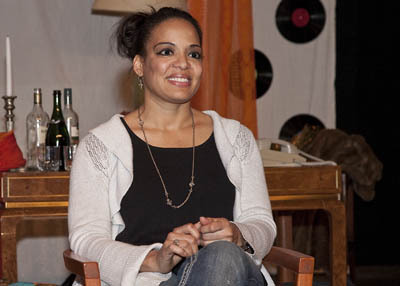 Daphne Rubin-Vega can currently be seen opposite Ethan Hawke, Natasha Lyonne, Becky Ann Baker, Thomas Guiry and Gordon Clapp in the off-Broadway play Blood From a Stone, the New Group's first production of its 2010-11 season. Written by Tommy Nohilly and directed by Scott Elliott (artistic director of the New Group) will continue performances through February 19, 2011 at the New Group’s home, the Acorn Theater at Theater Row in the theater district of midtown Manhattan. Later in their season the New Group will be One Arm, based on a Tennessee Williams short story that also inspired an unproduced screenplay. The New Group is collaborating with the Tectonic Theater Company on the play, which is adapted by the production’s director, the Tectonic founder, Moisés Kaufman. 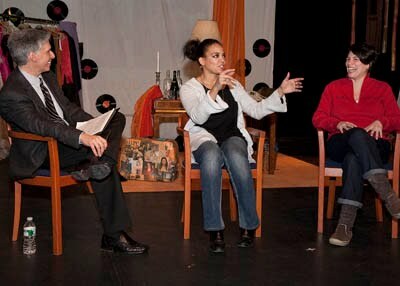 The run is scheduled for May and June 2011 and casting is to be announced. John Leguizamo will present his latest solo show, first in Chicago at the Royal George Theater in the beginning of February (under the name John Leguizamo Warms Up) before transferring it to Broadway under the name Ghetto Klown. Directed by Fisher Stevens, it will be presented for a limited 12-week run to begin previews February 21, 2011 at the Lyceum Theater and scheduled for an official opening on March 22, 2011.
written by Luis Caballero and James Manos, Jr.
FOR HOLA MEMBERS AND FRIENDS OF HOLA.